It has been a journey of self-discovery and reflection for eight determined young people from The Salvation Army’s Oasis Youth Support Network as they return home from a mission trip to India. For the past 12 months, founder of travel company Unique Journeys, Jan Tracey has been working in collaboration with Oasis, to provide a rare opportunity for eight marginalised youth to travel and do philanthropy in one of the most poverty-stricken countries in the world with the hope to facilitate a turning point in their lives. For many young people who access Oasis services, a trip overseas is beyond their means. The reality is that few have travelled more than a few hours outside of Sydney. 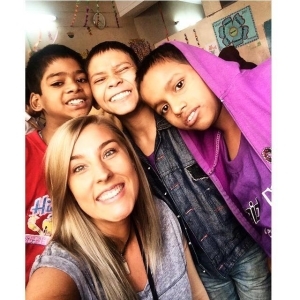 Through active fundraising, determination and the incredible efforts of Ms Tracey, on November 20, eight young people and supporting staff from Oasis started a 16-day adventure through India that involved spending time in two locally-run orphanages, as well as charity work with street children. The experience aimed to help these young people develop a stronger sense of purpose, sharpen their instincts, while gaining a better understanding of the world and their place within it. 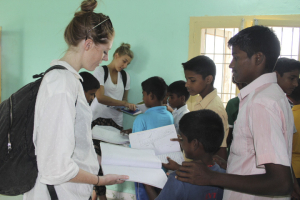 A key element of the trip was about investing into the local Indian community and empowering the young people to continue making change upon their return. Staff who supported the young people on the trip spoke about how the children at the orphanages opened their hearts and homes and showed them that true happiness does not come from having the latest gadgets or clothes, but rather from quality time with each other. Team Leader and Manager for Education Josh Field said, “The children really did teach us to live in the moment; their smiles and positive attitude to life was inspiring”. The group travelled from New Dehli to Chennai and onto MITHRA (Madras Institute to Habilitate Retarded Afflicted); a place dedicated to nurturing the basic abilities of children and young people who are afflicted by disabilities; before spending time volunteering in Prema Vasam, a home set up to support special needs children. They had a final stop in Goa to relax and reflect before flying back to Sydney via Mumbai. The intrepid young team traveled there to meet and respect the people whatever their life circumstance, but came away so much richer for the experience. For many it ignited or reconfirmed the desire to travel and see the beauty the world has to offer, as well as providing a new passion for helping those in need. So moved by the children at the two orphanages, the young people took it upon themselves to put together a collection to donate as they departed. It is a testament of how far many of these young people have travelled on their own personal journey that they are able to recognise how fortunate they are despite the traumatic experiences many have faced before getting to this point. One young person said “she now knows that her past does not have to define her future or even her present”. The group left India richer people for the experiences and life-lessons learnt and can’t wait to return in their own time to MITHRA and Prema Vasam.